Gorgeous open floor plan, oversized kitchen, and 9 foot ceilings. This home offers a 4 bedroom septic so you have the option to make the office into a 4th bedroom. Beautiful fireplace and big windows in the living room welcoming Alaska's beauty year round. Your new home will abut 15 acres of unbuildable land so you can enjoy privacy and be surrounded by beautiful woods. The master suite features a relaxing soaker tub, tiled shower, double vanity sink and large walk in closet. Heated 2-car garage with ample space allowing for more storage. 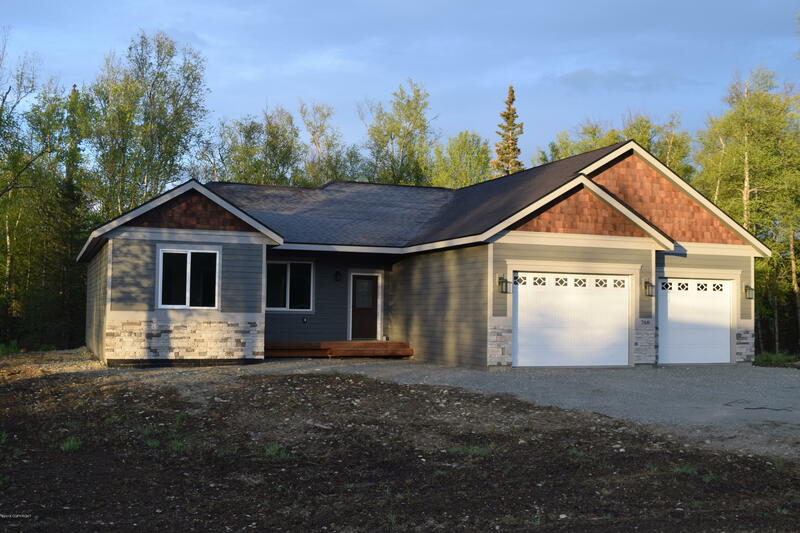 Beautiful neighborhood in a very convenient location, only 7 minutes to Wasilla's downtown shops and grocery stores. High quality builder focused on making your dream home a reality.